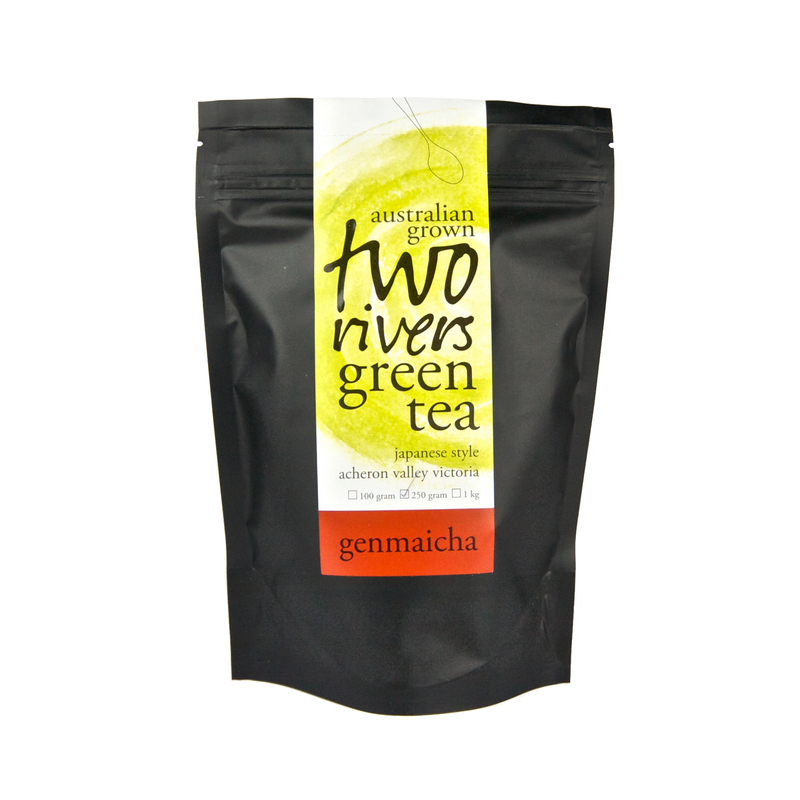 Two Rivers Green Tea produces green tea in the Japanese tradition but you may not know much about genmaicha blend. Genmaicha, Japanese for ‘brown rice tea’ is a combination of green tea and roasted brown rice. Sometimes the rice pops during the heating process and it looks like there are little pieces of popcorn in the tea, which gives it its nickname ‘popcorn tea’, although there’s no corn in the blend. As with many tea origins, genmaicha has a legend attached to it. Imagine a samurai’s teahouse in 15th century Japan playing host to a gathering of warlords. A servant called Genmai serves the samurai warriors fine green tea, an expensive luxury back then. As he pours, a few grains of roasted rice from a snack he has stashed in his sleeve drops into the cup. In a fit of pique, the samurai slays the servant for ruining the tea. But he then takes a sip from the cup and finds the tea has not been ruined after all: the roasted rice gives the vegetal green tea a rounded full-bodied flavour. In commemoration of the late servant he calls the tea ‘genmaicha’ and drinks his green tea with a few grains of roasted rice in it thereafter. The truth is probably closer to practicality than samurai legend. Green tea, being expensive, was restricted to the samurai and ruling class. When ordinary folk could afford it, it was late harvest bancha green tea and even then considered dear. Someone practical decided to mix roasted rice—a much cheaper commodity—with the tea to make it go further. Genmaicha is therefore often referred to as the ‘people’s tea’. 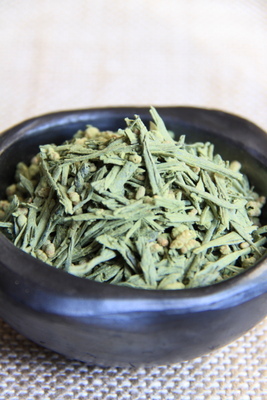 Genmaicha traditionally comes in the ratio of one portion of bancha to one portion of roasted rice, though every genmaicha maker has their own recipe. While it sometimes carries the stigma of inferior tea, many blenders have perfected the art of balancing its flavours to offer a beautifully balanced tea, often with the earlier harvest, superior sencha green tea. 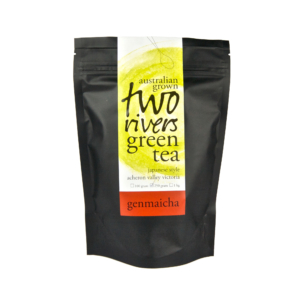 The genmaicha at Two Rivers not only uses our early harvest sencha grown in Australia but also matcha, stone ground green tea powder grown and processed in Japan, to blend with the roasted rice. 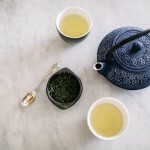 The result is a rich, full-bodied tea that takes the vegetal notes of the sencha, the umami flavour of the matcha and the nutty body and taste of the roasted rice to make a warming, savoury beverage. It’s both satisfying on the palate and in the stomach—just perfect for winter.